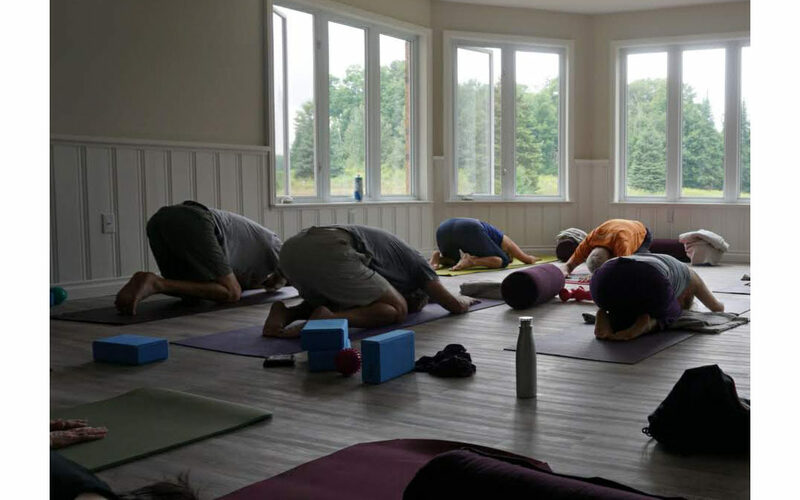 Saturday morning yoga with Andrea is back! Join us at ARC on Saturday mornings at 10am – February 2nd, 9th and 16th for an hour of yoga with Andrea. A series of three practices to calm, clear and steady our energy and bodies. Do you feel pulled in many directions, scattered and easy to boil? This series can reconnect us with the warmth, peace and steadiness of the earth- balancing the cold, blustery and brittle feeling of winter. We will move and breathe through gentle, Hatha-style Yoga; with a focus on grounding, warming, and anchoring.